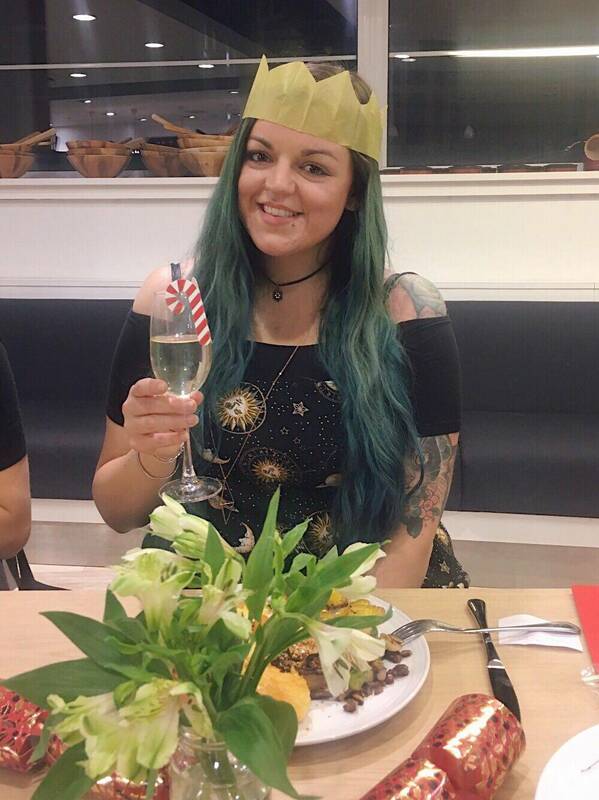 People love to tell me how “tough” it must be to have a vegan Christmas dinner. 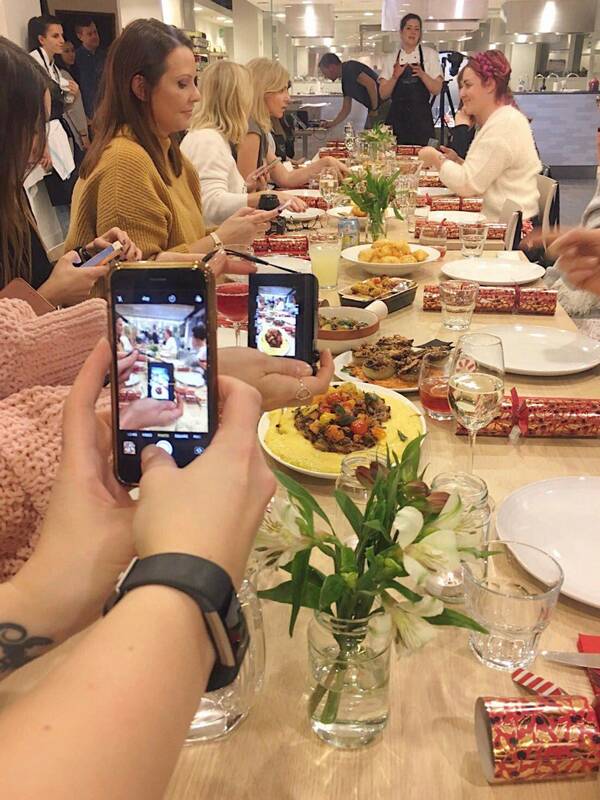 However when I received an invite to a John Lewis event complete with a cooking workshop making Christmas puddings (vegan options available of course) and an entirely Vegan Christmas dinner – it reminded me how much more accessible plant-based food is becoming, especially during this traditionally not-vegan-at-all season. Over the years the John Lewis brand has become quite a large part of the online chatter around the festive period, with their annual Christmas adverts pulling on our heart strings. 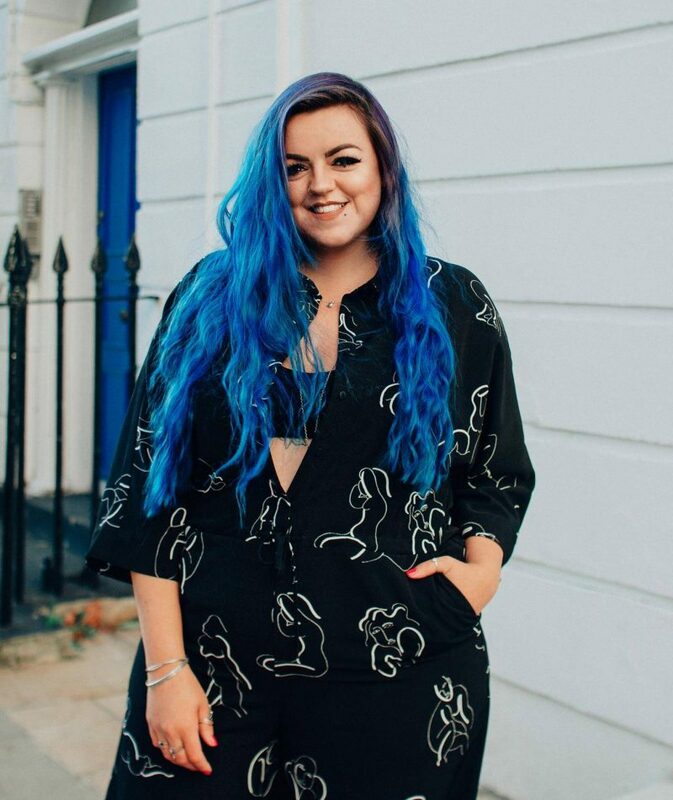 So I thought it was particularly great that a brand such as this did this event where having a dietary requirement wasn’t a difficulty, but almost a necessity to be invited along! 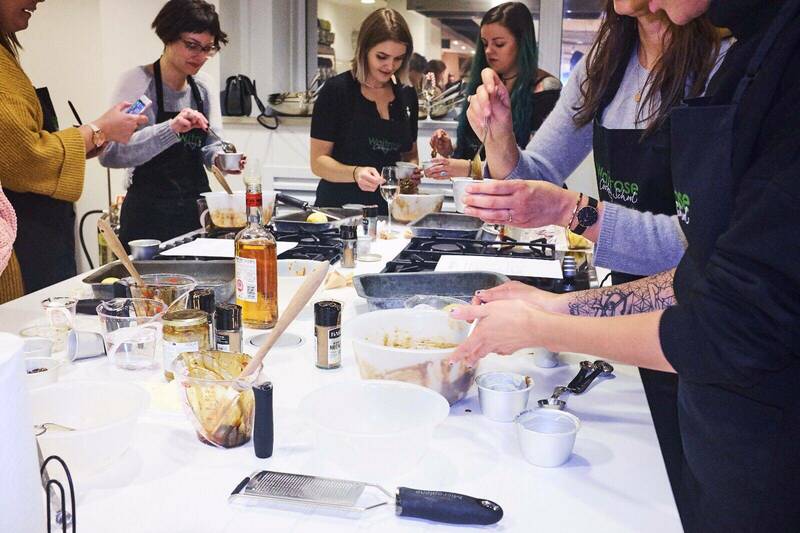 The event took place at the Waitrose Cookery school on Finchley Road where there were several table groups (two vegan, and one gluten-free), with attendees in cooking pairs, preparing both vegan and vegetarian gluten-free options – and it really got me in the festive spirit. 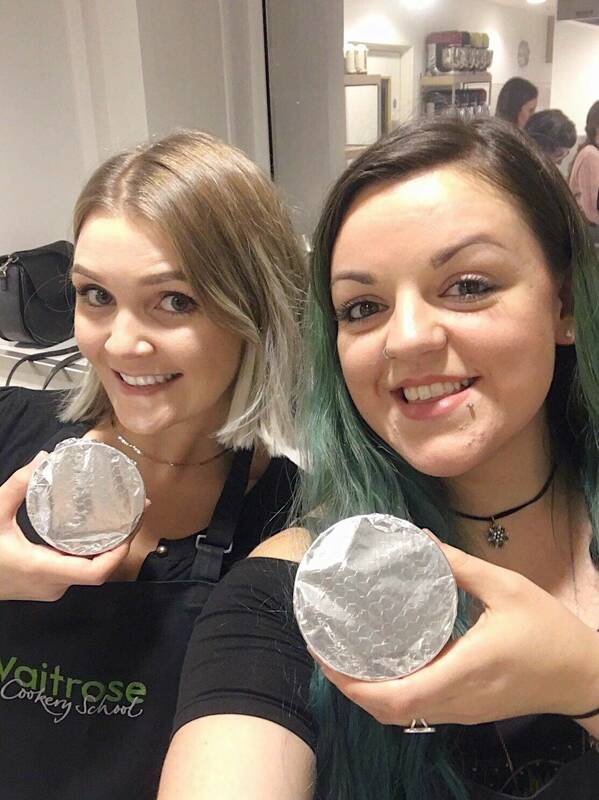 I was partnered with the gorgeous Ellie (who blogs over at www.kindstateofmind.com), we had a lot of fun trying not to mess up our pudding prep. 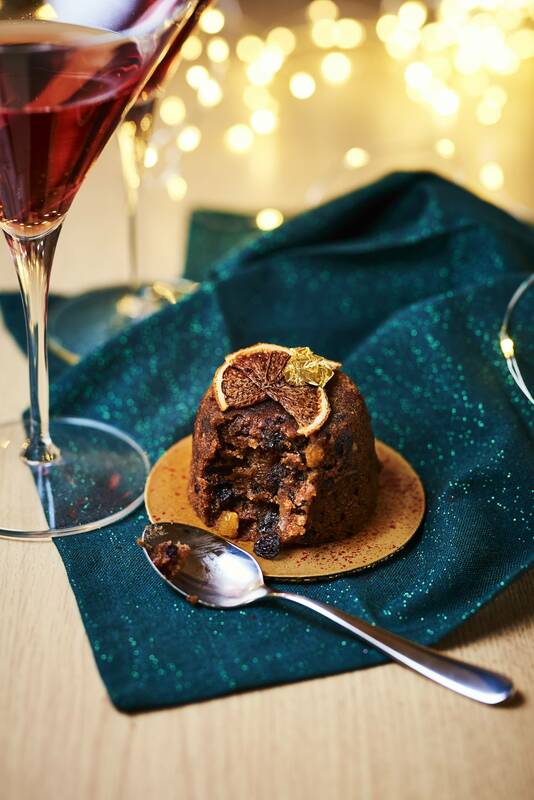 I’ll be honest and tell you that I’ve never really been a fan of Christmas puddings (vegan or not), and although this did taste pretty bang on to my memory of them, I still don’t think I’m swayed to the idea of it. That being said the remaining one and a half of the Vegan Christmas Puddings went down a treat in the office at work! If you fancy having a crack at making them yourself, check out the John Lewis recipe here. After preparing and mixing our pudding they were placed in the oven to bake and we were plied with cocktails, bubbles and canapes before sitting down at a long table to eat a Christmas feast. 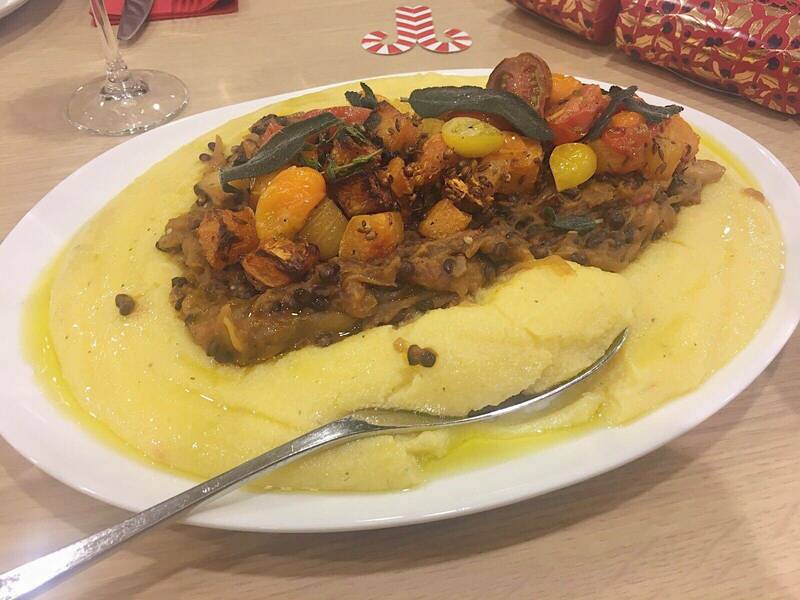 Everything that was served up was incredibly delicious and has inspired me to try something with an Italian twist over my Christmas break this year, too! 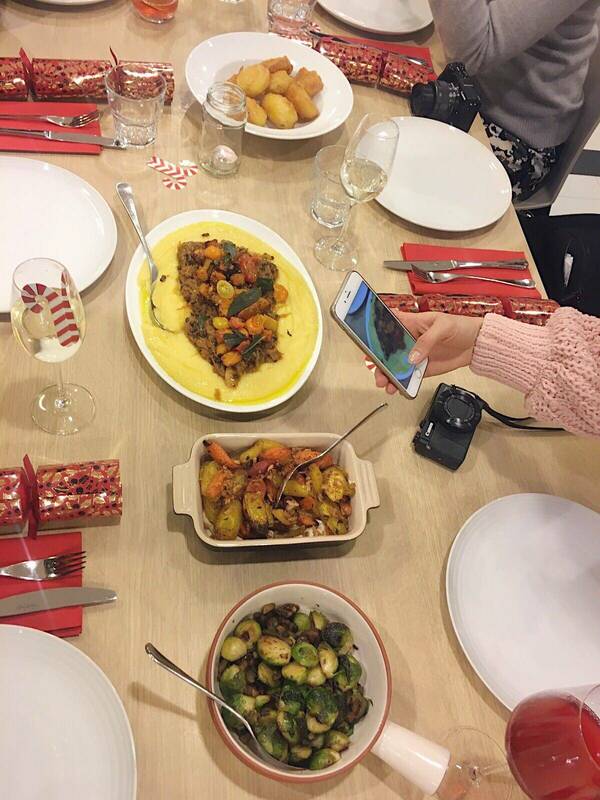 For the meal I sat near Ellie (my baking partner from earlier in the night), as well as Rob (Veggie Lad), Romy (Romy London UK), Marsha (World Within Her) & Jada (Precious Vegan). Also on the table who I recognised as fellow vegans from Twitter were Sarah (Sarah Kirby Blog) and Nadia (Not So Quiet Grrl), so nice to meet people, even briefly in real life and they’re all fab bloggers, make sure you check ’em out! Overall it was a really lovely sociable event with fellow bloggers I had and hadn’t met before, as well as the lovely Erica (I’m Being Erica) and Shaun, who organised the event with John Lewis. 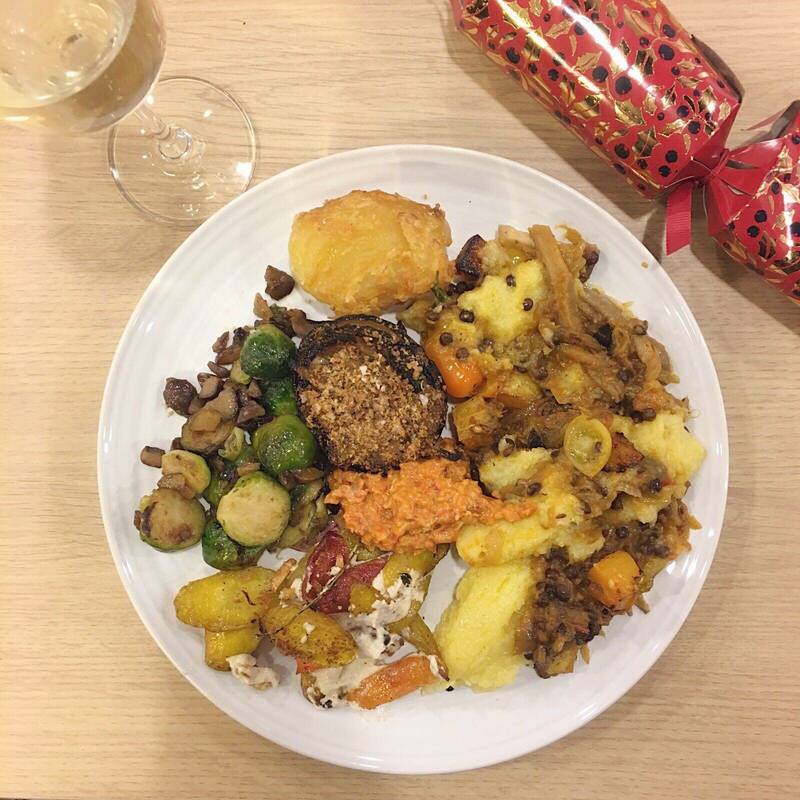 If you’re looking for anymore Vegan-friendly Christmas meal inspo I actually blogged about the deliciousness that is my yearly Vegan Christmas Dinner with family, check it out HERE. All pictures my own unless otherwise stated.